After spending a good chunk of hard-earned cash on a smartphone or tablet, it is wise to find a way to protect the device from all of the perils of the modern age. Your electronics may be powerful, but they are still susceptible to drops, cracks, scratches, and the occasional teething baby. Portland, Oregon-based company, PRiNK offers a fashionable and sustainable option for those who wish to remain tech-savvy while also keeping the health of the planet in mind. 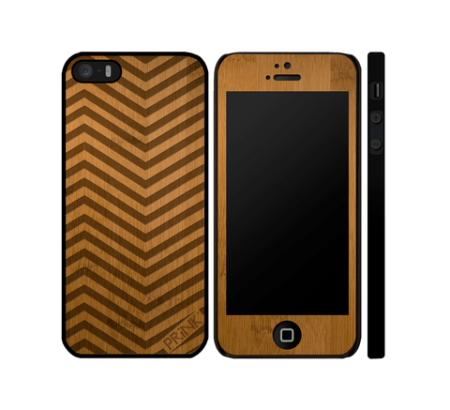 Once we saw that they produce shells for iPhone and iPad in bamboo, we took notice. Upon finding that they helped to fund the planting of 2,000 trees in the Pacific Northwest last year alone from the profits of their merchandise, we simply had to carry their cases. As an added bonus, they have a partnership with Arbor, one of the most enlightened bamboo clothing companies out there. As members of the Forest Stewardship Council and Fair Labor Association, you can be assured of a quality product that respects both humans and the environment. Bambu Batu plans to be featuring several sizes of their bamboo mobile device cases for iPhones and iPads with the Arbor logo, our famous “Kale” emblem, stylish Om label, and “B Here Now” mantra. Custom etched designs are also available for anyone with a favorite image or artistic streak! Stay tuned for the newest exciting addition to the Bambu Batu family! Flash your cash: SLO Cash mob! Subscribe to our inspiring newsletter, packed with recipes, product news, event details, DIY projects, and other exciting information from the world of bamboo and green living.